Reading Facebook comments about Beyonce’s announcement about her food choices made me think that a big part of our movement has lost it. I read hundreds of vegans complaining about Beyonce and criticizing her. 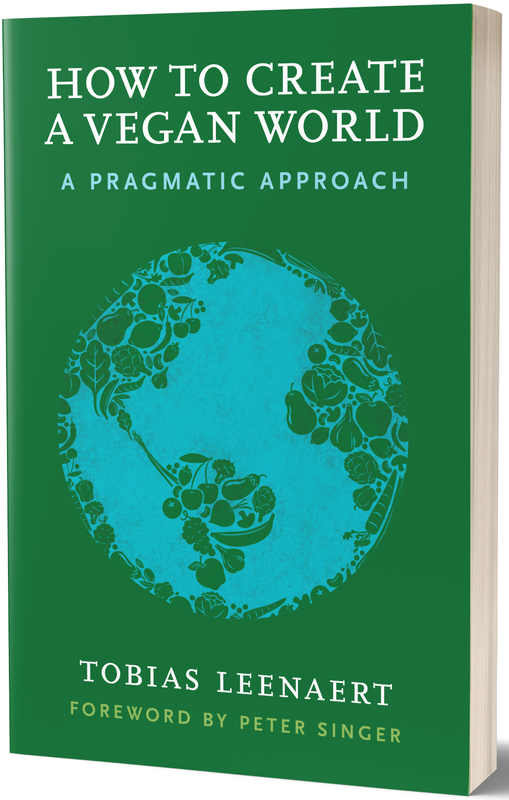 This great videoblog by Colleen Patrick-Goudreau, in which she refutes the criticsm, makes you see the craziness with which some of us approach all things (non) vegan all the more clearly. I urge you to watch it. It’s a breath of fresh air. I think some of us have stopped thinking. Having an ideology, even if it’s a nice one, can be damaging for one’s ability to think. Veganism seems pretty clear cut in many ways. It seems straightforward, there’s few real counterarguments one might bring in against it, it seems consistent, etcetera. So we’re tempted to think the thinking is done. That it has been done for us, already decades ago. Maybe that’s the case. Maybe we have some sort of complete and clear definition of what is and what is not vegan, what is and what is not a vegan, etcetera (even though I doubt it). But surely, we are not done thinking about the best way to bring veganism to the masses. The way we define veganism and the way we try to mainstream it are intertwined. We need to think about both. 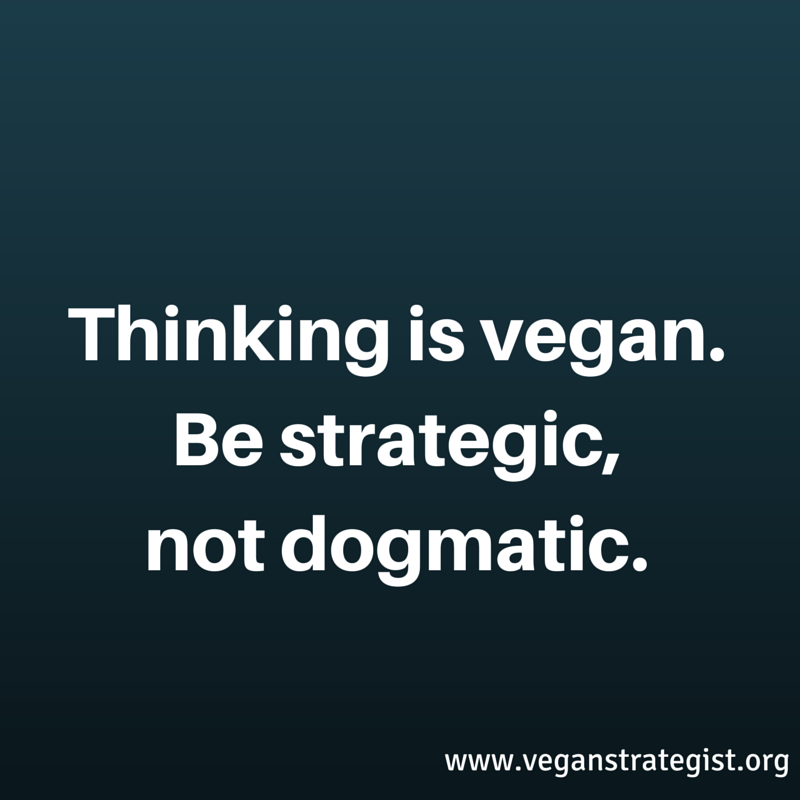 We need, above all, to be strategic and not dogmatic about being vegan and about communicating about veganism.